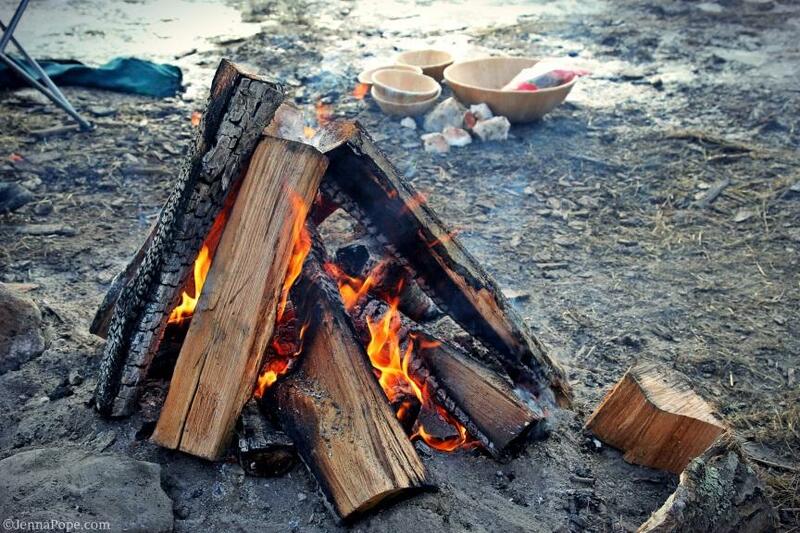 We’re approaching the one year anniversary of the start of Chief Spence’s hunger strike on Victoria Island. We’re approaching the anniversary of a number of key dates from last year that marked the largest Indigenous resurgence this country has every seen. We’re approaching the anniversary (#J11) of the date that could have been the outright rejection of the colonial agenda set forth by the Canadian Government. We’re approaching all of these dates and at the risk of sound dramatic – does anyone care? At the risk of throwing around tired cliches and, at this point, uninspired catch phrases, where did the fire go? Where did the spirit of the people go? What happened after #J11? These are some of the fundamental question we look to answer, or at least explore, at the Niigan: In Conversation Live Red Man Laughing Podcast taping on December 10th, 2013 in Ottawa, ON at the National Arts Centre. Idle No More Rules For All Eternity Forever and Ever Tapwe and Amen Mahsi cho! December 10th, 2012, is where I set aside my mostly worry-free ways and decided to use Social Media (Facebook and Twitter) to face my fear and growing concern of what I was hearing about Canada and where it was headed. I could not believe what I was reading about the Prime Minister of Canada and these omnibus bills that were being proposed. I could not believe that so many scientists were being let go of their jobs. These were the specialists who were trained to monitor the waterways for Canadians. Here was my first social quote: “Mr. Harper, you are now in the way of clean and safe water for all Canadians. It may be the Treaties that save Canada, after all.” It received 57 likes. I think it’s safe to say many Aboriginal people and Canadians were suddenly realizing that things that seemed unthinkable with the omnibus bills were actually going to happen. Chief Theresa Spence started her 30 day hunger strike on December 11th. As word started to spread online and in newspapers about what the omnibus bills were truly all about, I decided to post this on Facebook on Dec. 15, 2012. It was shared several times and I received 158 likes. Again, I received more “likes” and shared posts on Facebook. I think it’s safe to say that many of us were horrified that the first omnibus came to pass. We couldn’t believe it! I saw this young man at the Idle No More gathering in Edmonton on Dec. 10th. I should have asked his name. I hope Canadians know Aboriginal people are not only fighting for our Treaty rights but for water and resource protection across Canada for all Canadians and for all our future generations. This is a terrifying time for Canada and greed seems to be the order of the day. Mahsi cho! about what was happening in our country. I kept thinking, “Prime Minister Harper, we’re willing to fight for Canada. Why aren’t you?” I was also aware that Harper had stirred up the fastest growing demographic in Canada. On Dec. 21, I was home for my dad’s birthday in Fort Smith, NWT, and I saw our leaders unite with a drum song and a ceremony of “Feeding the Fire” in the middle of town. Many trucks honked as they rode by and there were so many of us dancing together as Fort Smithers for the very first time. This is when it hit me that the federal government had now united Canadians and Aboriginal people: “Praying for Canada at the drum dance in Fort Smith as we honour our ancestors, the land and all future generations #Idlenommore”. You know what Idle No More deserves? We need an anthem that unites us all. Take, for example, this incredible song: “Eye of the Tiger” by Survivor. Holy cow, does the lead singer ever look like Clinton Kathrein! (**a very cool dude that I grew up with) Check it out! And ‘member when Midnight Oil’s “Beds are Burning” came out? Holy cow! That stirred our blood like crazy! Mr. Prime Minister, can you feel the drum thunder of a revolution that you and your leadership have started by underestimating us? Meet with Chief Spence and end this time of international disgrace. It’s time to build a bridge back to a transparent partnership that honours the treaties and our future together. Mahsi cho! Edmonton, see you at the Idle No More Revolution at 1 pm today at the Alberta Legislature Grounds. The sun is shining. Let us honour Day 20 of Chief Theresa Spence’s hunger strike. This is a day for all Canadians to join us in a peaceful demonstration saying we’ve had it with a leadership that’s leading a culture of extinguishment for Aboriginal people and unsafe waterways for all of our future generations. Mahsi cho! At this time, IdleNoMore was in the papers, online, being acknowledged by the Canadian media in press and in news broadcasts, so I started to incorporate more of my Tweets and Facebook posts with their hashtag. warrior in my eyes. Mahsi cho! Chief Theresa Spence was our hero and was bringing national shame to the Prime Minister (who was now being openly called “The Crime Minister” because rumors of his participation in automated “Robocalls” that diverted 7, 000 voters to the wrong polling station in Guelph, Ontario, were starting to grow.) Had he won the election illegally? How was any of this possible in Canada? Why wasn’t he fighting for all Canadians? Why wasn’t anyone stopping him? There were so many opportunities for Stephen Harper to address the nation and outline why he was doing what he was doing, but there wasn’t a single one that I remember. In fact, rumors were starting to grow that federal employees had received a gag order and that they were not to speak to the press without authorization. Where will Big Industry be when you can’t trust the water in your taps? Where will the corporations be when loved ones, neighbours and future generations get sick from the water and food around us? Canada is worth protecting. I support the #IdleNoMore Revolution! I don’t want to believe that the prime minister won this election through fraud, but if this is true, why isn’t there a mechanism to impeach him? And if this is true, then I want these omnibus bills to be a fraud and, therefore, illegal, and I want to wake up and know that this was all just such a horrible and sad dream. Idle No More isn’t just fighting for Canada: it’s about fighting for government transparency–which Stephen Harper promised before he became Prime Minister, and it’s for a public awareness to what exactly third party interests entail for all Canadians. This government is counting on our apathy and our lack of understanding history. The best part of Idle No More is it woke so many of us up and it informed and will continue to inform and inspire us all. See you in the Circle! This essay appears in The Winter We Danced, published by Arbeiter Ring Press and available spring 2014. Our thanks to the editors for their permission to let us use it. Buy the book! For me, the power of Idle No More was bound to the creative resistance it manifested. More than the round dances, more than the national television coverage, and more than the hashtags – people took it on themselves, joined with community members, reached across Canada and across national borders to collectively decide to contribute something to the movement. Pamphlets were written, teach-ins were planned, art was made, sacred spaces were claimed, and highways were blockaded. Whatever it was that motivated them, people decided to put their beliefs and skills into creative contention with the ongoing colonial reality. I was struck by the diversity of actions and how spontaneously people rose up to make them happen. It was the power of Indigenous peoples and Indigenous nations on display for the world to see, the creative contention with current and historical colonial violences that couldn’t, despite best efforts, keep the spirit of Indigenous peoples from resisting and from creating. It was also a reminder of the power of hope. Too often we find ourselves caught up in the daily grind of decolonization – even of survival – of struggling on multiple levels against seemingly endless barriers; but what Idle No More reminded me of was the joy and hope that drives us all to imagine a different future, one where Indigenous nationhood and peoples are honored and valued. Seeing so many people join together, I was reminded of why we hope for something else – it was a small, imperfect taste of what it is to come, but a taste that lingers and can sustain us for the next step. The challenge then, and now, is how to transform that hope into something sustainable and something lasting. The challenge is to take our dreams and figure out the practical steps needed to make them reality. It’s not a matter of recapturing the fire of Idle No More – because passion and desire are/were not enough. They are the spark, the beginning, and what is needed is collective will and organization for the hard work of decolonization, for the work that happens when the placards are put away. When we enter into long-term commitment to the struggle, we commit to giving our energy, our skills, our being to be the fuel the keeps the sacred fires burning. This commitment demands that we look for answers beyond the institutions and structures that continually implicate us in the colonial project. We need to envision education as something beyond the colonial schools and government funding plans. We need to believe that governance and politics are more than band councils or municipal/ provincial/federal bodies. We need to understand environmentalism beyond individual cases and causes. While we are all complicit with varying systems of oppression, and we all occupy various positions on the continuum between resistance and oppression, we must all choose to work for and demand change. We need to envision and then collectively build alternatives. Our theories, protests, petitions and powerful words are only as valuable as the sustained actions for decolonization that they provoke. To be able to collectively build, to string together the moments of disruption through the chords of daily, lived out resistance, we must be willing to sustain one another. We must be able to live out the kinds of relationships, on a micro level, before they can ever become reality on a larger scale. This is taking resistance and resurgence back to the kinship level, to a relational level that allows us to hold one another up, to build and collaborate. This requires revolutionary actions like humility, self-love, and setting aside ego. It’s about allowing individual to play a role and showcase their skills within a collective that values them. It’s about building. As I write this, I feel like what I am saying is a little simplistic, leaning a little too close to vague platitudes; but sometimes what is needed begins with ‘simple’ actions that reverberate into larger movements. We are collaborative journeying towards a tangible future of Indigenous sovereignty and nationhood, towards a collective decolonization and moments of reflection, like these, are necessary to both see what we’ve already learned and what is yet to be learned. 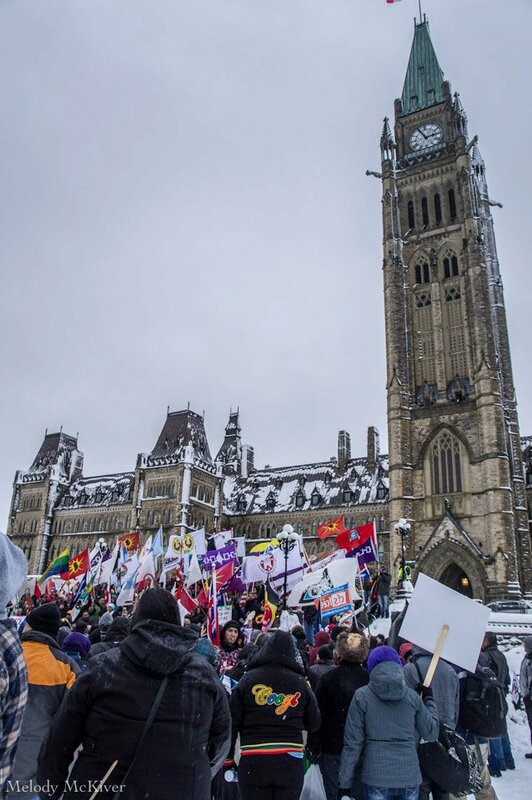 Idle No More taught us some valuable lessons that we must learn from and build on, rather than letting them slide into that place of forgetfulness, where lessons learned through hard fought struggle are lost and errors repeated. Eric Ritskes is a PhD student at the University of Toronto in Sociology and Equity Studied in Education. He is the founder and co-Editor of Decolonization: Indigeneity, Education & Society, an un-disciplinary online, peer-reviewed journal.